This fixed height steel riser is 10" deep and is offered with (2) 6 outlet electrical strips. 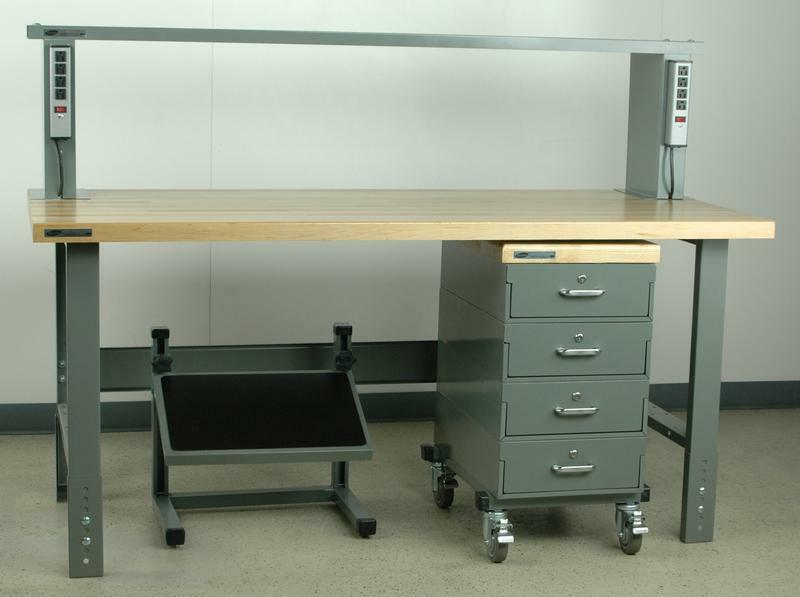 These shelves are available on all workstations and can be stacked on top of one another if desired. If more outlets are necessary other outlet strips can always bolt to the front lip or the optional rear lip of the shelf.